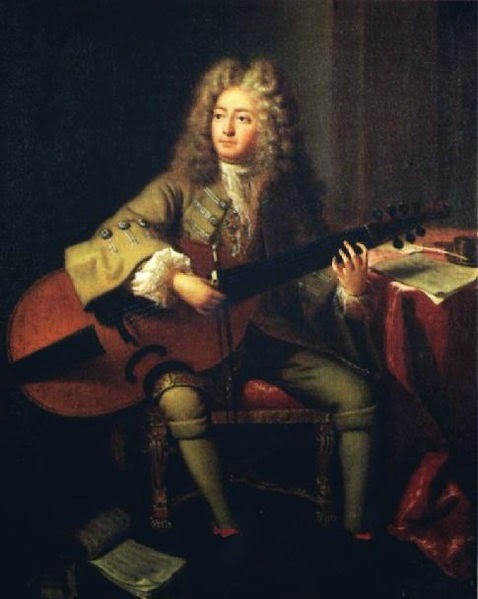 Today we find ourselves in France for an unusual musical interlude, courtesy of Marin Marais, a famed French composer and darling of the Versailles court. In between fathering 19 children and entertaining the French royal family, Marais was famed for his operas and other compositions, though it is for a most singular piece that he has won his place at the salon today. Marais was an early practitioner of the genre known as "program music", in which music is used to communicate a narrative to the audience. Sometimes, as in the case of Marais, the narrative is also provided in a written format to the audience. Marais wrote his work, Le Tableau de l'Operation de la Taille, in 1725. The English title of the composition is The Bladder-Stone Operation, and it depicts a scene all-too common in the 18th century, the practise of bladder surgery to remove stones. In the piece for viola and harpsichord, Marais gives a gruesome account of the operation and when he published the composition he provided a written passage to accompany it. Below you can read the notes written by Marais; I can certainly hear the fear and grisliness of the operation in the music. indeed, it sends a chill through me even on a lovely day like this! The appearance of the apparatus. Shuddering at the sight of it. Resolving to climb onto it. Securing the arms and legs with silken cords. Now the incision is made. Now the stone is pulled out. Now the voice dies away to a croak. Now the cords are removed. Now one is carried to bed. I believe it was in about 1723 that the renowned London surgeon and teacher at St Thomas's Hospital, William Cheselden, perfected a new method of cutting for the stone which was quicker, more accurate (and therefore less painful) than the previous standard method; and resulted in eight out of nine such operations being successful - a greatly improved ratio. In the 17th century, they went through the man's scrotum to dig out the stone. :-( At least with Samuel Pepys. Loved this - thank you. I've been writing about work experience in theatre and watching the surgeon operate with Spandau Ballet in the background. This takes it to another level! Happy to oblige; maybe Spandau should cover this number for their next release! a quick poke with a sound gun.. Ouch!! ....but maybe a tad early for Fanny Burney to have the 1812 Overture at her op?? A brave woman.